Pauline Mallinckrodt (1817-1881) was born in Minden, Germany, on June 3, 1817. She directed the institution for the blind in Paderborn, Germany. 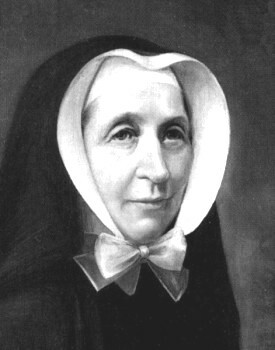 She founded the Congregation of the Sisters of Christian Charity on August 21, 1849. That order took charge of the school for the blind and established 20 additional houses in Germany. In 1873 sisters of the order came to the United States. 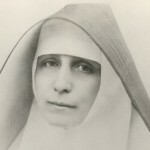 Sr. Mallinckrodt came to the United States in 1873 and organized a Mother House in Wilkesbarre, Pennsylvania. She died in 1881 in Paderborn, Germany. She was beatified in 1985. The poet, Detlev von Lilliencron was born on June 3, 1844 in Kiel, Germany. Lilliencron’s most known collection of poetry is Adjutantenritte. His collection of novellas, Kriegsnovellen are based on his own experiences in the military. He also worte an epic, Poggfred, ein kunter-buntes Epos. Von Lilliencron died in 1909. June 3 is the birthday of Otto Erich Hartleben, who was born in Clausthal, Germany in 1864. Hartleben was a writer of short stories and dramas. He is known for his social criticism and satire. 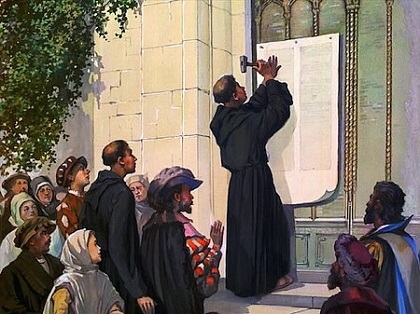 Works by Hartleben include, Rosenmontag, Vom gastfreien Pastor and Meine Verse. Hartleben died in 1905 in Italy. 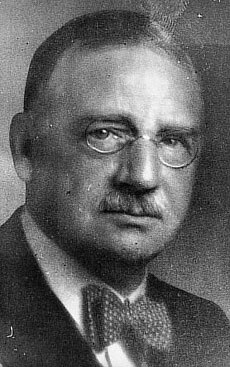 Birth of Otto Loewi (1873-1961), the physician/pharmacologist, in Frankfurt am Main. Loewi received the Nobel Prize for Physiology or Medicine in 1936 for discoveries in the chemical transmission of nerve impulses. Loewi was Professor of Pharmacology at the University of Graz, Austria. In 1940 he came to the United States and became a professor at the School of Medicine at New York University. Loewi died in 1961 in New York City. 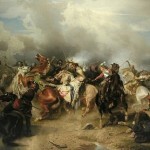 Death of Ludwig Ritter von Köchel in Vienna, Austria. 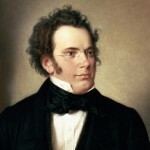 Although he had earned a doctorate in Law, Köchel devoted his life and studies to music. in 1862 he published his Chronologisch-thematisches Verzeichnis sämtlicher Tonwerke Wolfgang Amade Mozarts. In that work he organized all of Morzart’s works into 23 categories and determined dates of composition of each work based on stylistic development and Mozart’s handwriting. Since then Mozart’s works are identified with the “K” or “Köchel” numbers. Death of Johann Strauß (1825-1899) (the younger) (the Waltz King), in Vienna, Austria. Beloved Strauß works include An der schönen blauen Donau, Künstlerleben, Geschichten aus dem Wienerwald, Wein, Weib und Gesang, Wiener Blut and Die Fledermaus. His father had not wanted him to go into music and he started his life as a bank clerk, but behind his father’s back he started his own orchestra. 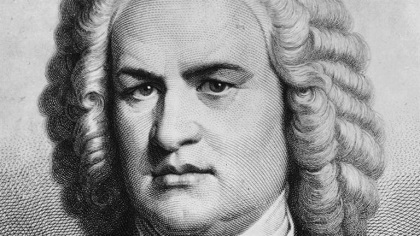 It was after his father’s death that he devoted his career wholly to composition. He composed over 400 waltzes, polkas, quadrilles, and other types of dance music, as well as several operettas and a ballet. 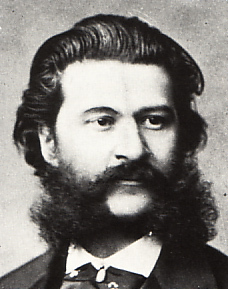 In his lifetime, he was known as “The Waltz King”, and was largely then responsible for the popularity of the waltz in Vienna during the 19th century. Death of Franz Kafka (1883-1924), in Kierling, Austria. Franz Kafka was a German-language writer of novels and short stories, regarded by critics as one of the most influential authors of the 20th century. 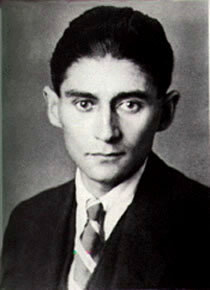 Kafka strongly influenced genres such as existentialism. The Swiss microbiologist, Werner Aber, was born on June 3, 1929. In 1978 Aber won the Nobel Prize for Physiology or medicine for his work in molecular genetics. Aber was Professor of Microbiology at the University of Basel. Death of Arno Schmidt in Celle, Germany. Schmidt became a novelist after World War II. Among his works are, Die Gelehrtenrepublik (1957), Nobodaddys Kinder (1963), and Abend mit Goldrand (1975). The worst train crash in European history near Eschede, Germany (between Hamburg and Hannover) causes the death of over 100 passengers. The train, ICE 884 “Wilhelm Conrad Röntgen”, was traveling at 200 kilometers per hour when it derailed and crashed into a bridge.